Tour hanoi halong bay bring the great experiences to you. 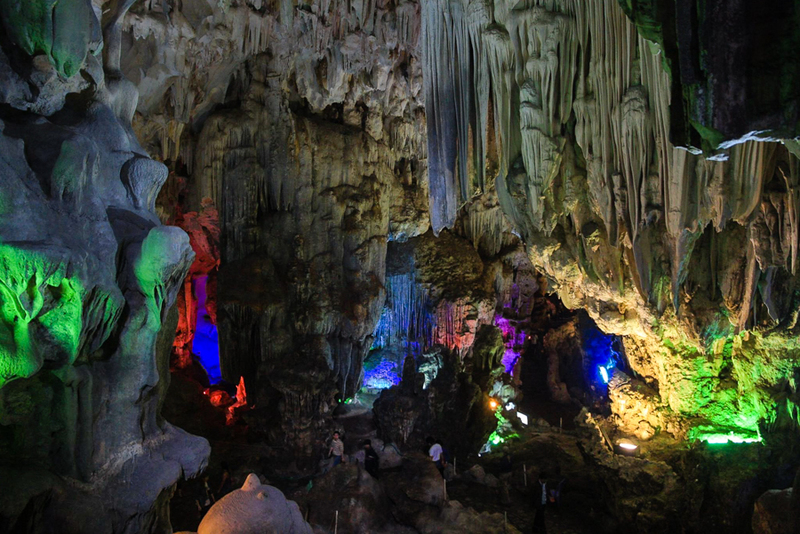 This trip help you to discover the top beauty in Halong bay, especially Thien Cung grotto. 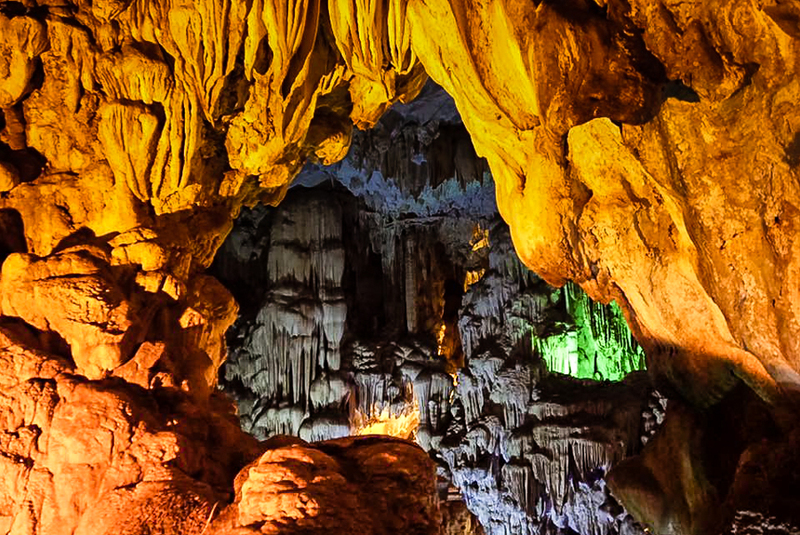 Follow Origin Vietnam to find how Thien Cung cave? Tour Hanoi Ha Long bay is an extremely enjoyable experience for anyone who is passionate about exploring the beauty of nature in Vietnam. The journey of this tour starts from the capital Hanoi and the destination is Ha Long Bay of Quang Ninh Province. You will be delighted to discover the hidden beauty of natural in Halong bay. Besides, you will also enjoy local specialties. You can also visit one of the most beautiful place in the bay - Thien Cung grotto. By train: You can also take the train from Ha Noi station, through Yen Vien station before arriving in Ha Long. This way will take you 7 hours to go to Ha Long. Thien Cung grotto is part of the Ha Long Bay tourist complex. Thien Cung grotto is located on an island call Cand Doc island, at 25 m above sea level. 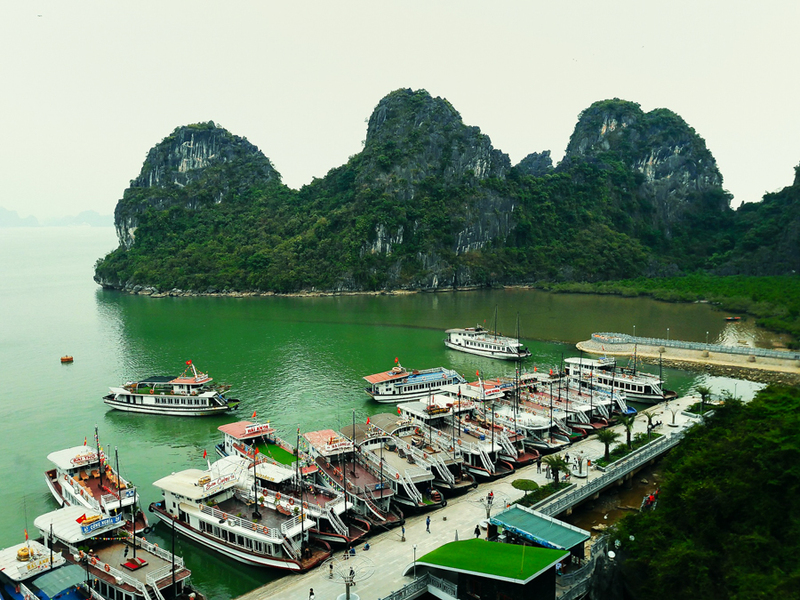 The grotto is 8 km away from Ha Long city and 4km from the Tuan Chau Terminal. And 100m from another cave: Dau Go cave. Thien Cung grotto and Dau Go cave are connected to each other through small alleys. The grotto was formed back in the Pleixtocene, about 2 million years ago. It was discovered in 1993. After arriving in Ha Long City, you can go to Thien Cung grotto by boat. There is a legend of a love story, which has connection to Thien Cung grotto. The Thien Cung was attached to the Dragon King from the wilderness. This is where the Dragon King returned after helping the people win the war. When there is heavy drought, hungry people decided to send people to pray to the Dragon King for rain. Not afraid of danger, a young couple were determined to go together to find the Dragon King. Experiencing many challenges, the couple finally found the Thien Cung grotto. The Dragon King saved the people from drought with the rain. Right at the time, the couple’s daughter was born and named Cloud. She grew up then fell in love with the Prince. The wedding is held 7 days 7 nights in the heart of the grotto. The way to visit Thien Cung grotto is along the cliffs, with the two sides covered by trees. Through a narrow gate, the space open and extend nearly 130m. The deeper into the grotto the tourists go, the more surprised they are by the beauty of the splendor of many stalactites create. The walls are like massive artwork, with soft lines that are flexible, subtle to every detail. In the centre of Thien Cung there is a four pillar support. From the foot of the pillar to the top are painting of many shapes. Such as birds, fish, scenes of human activities, plants and flowers. To the last stop, the natural light flashes through the ceiling, creating a beautiful scene. There is also a stream of water flowing from the mountain, into a clear lake. And at the corners, Thien Cung grotto is also accessed by a small door. Through it you can overlook the Green Bay, and Rocky Mountains. We have just found out about the magical Thien Cung grotto. If the information above fascinates you, don’t hesitate to book a tour Hanoi halong bay to discover this place. For more information, you can contact Origin Travel.